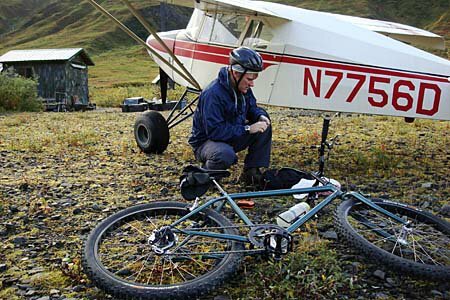 In this area of few roads, air travel is the only way to view the remote regions of Denali National Park. 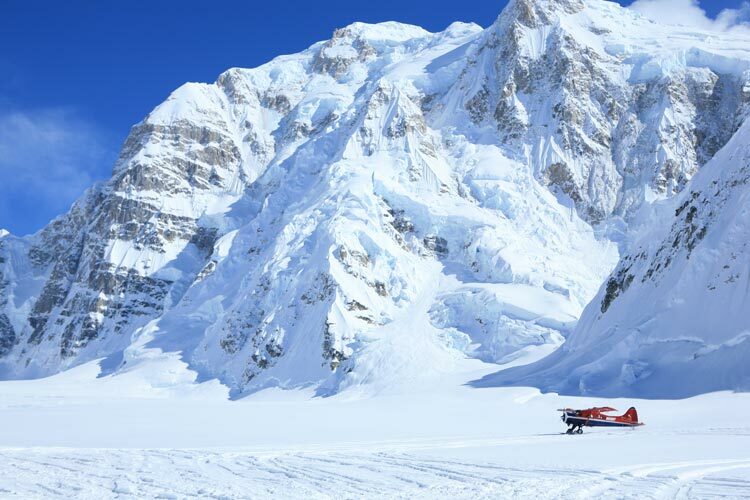 Your chance of seeing Denali is greatest by air. 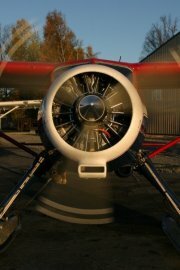 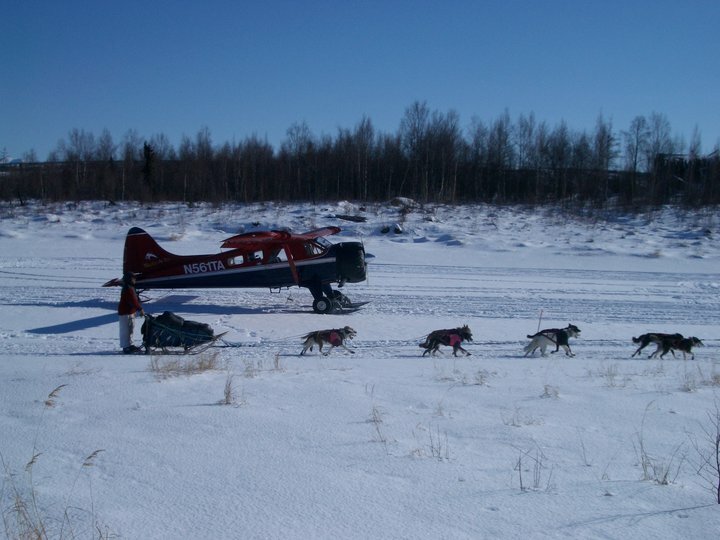 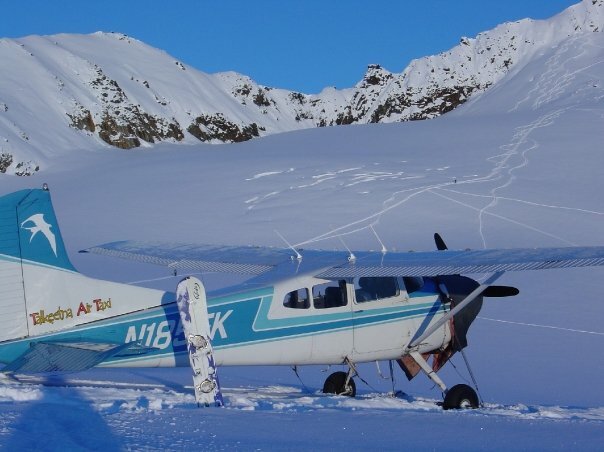 All of the flightseeing tours are spectacular at Talkeetna Air Taxi; choose the one that best fits your schedule and budget. 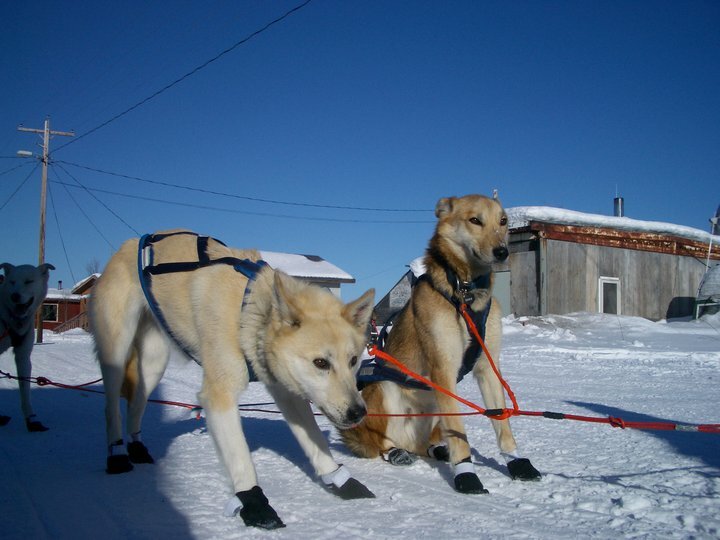 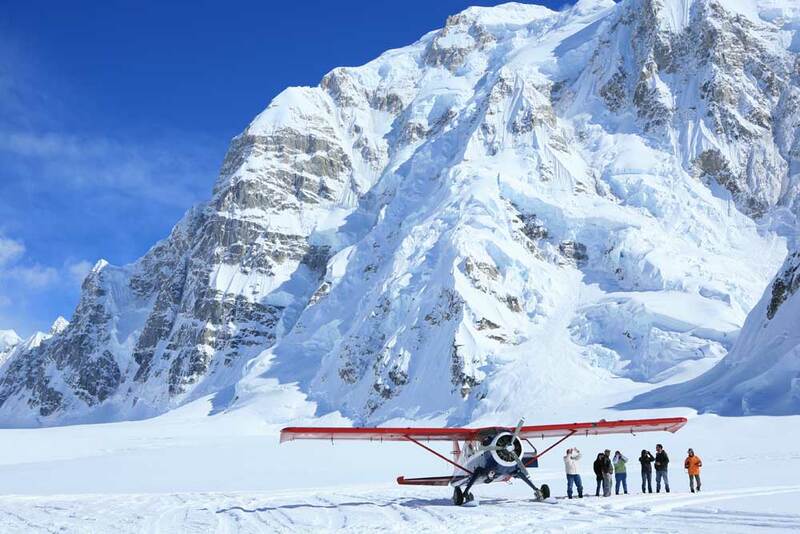 Embark on one of the great mountain flights that have inspired visitors in Alaska for decades. 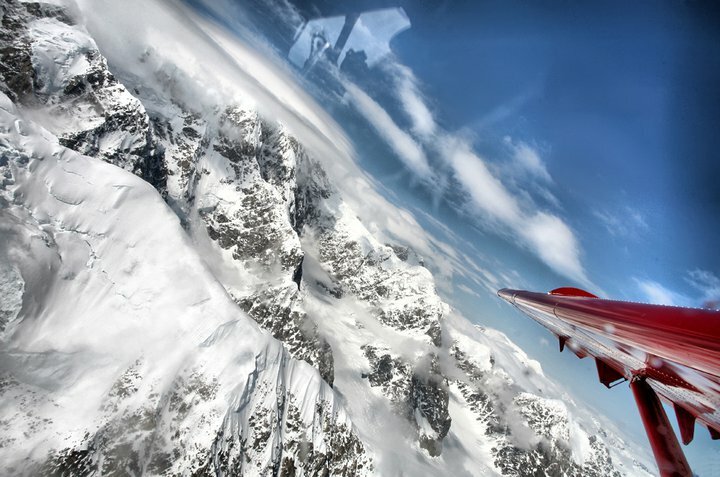 TAT flights focus on Mt. 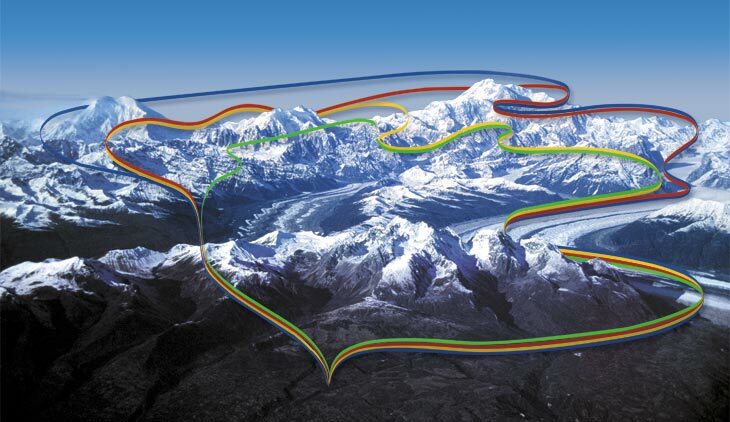 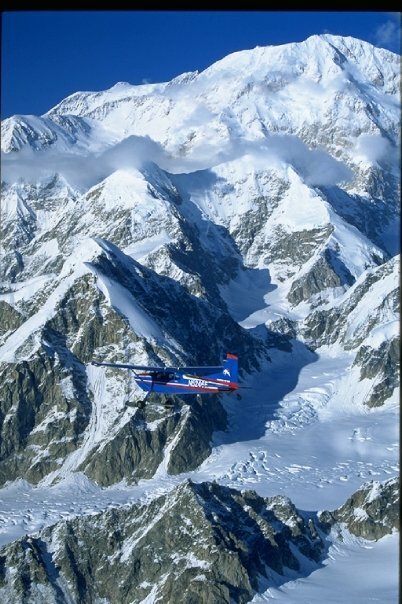 McKinley and its complex ridges and glaciers. 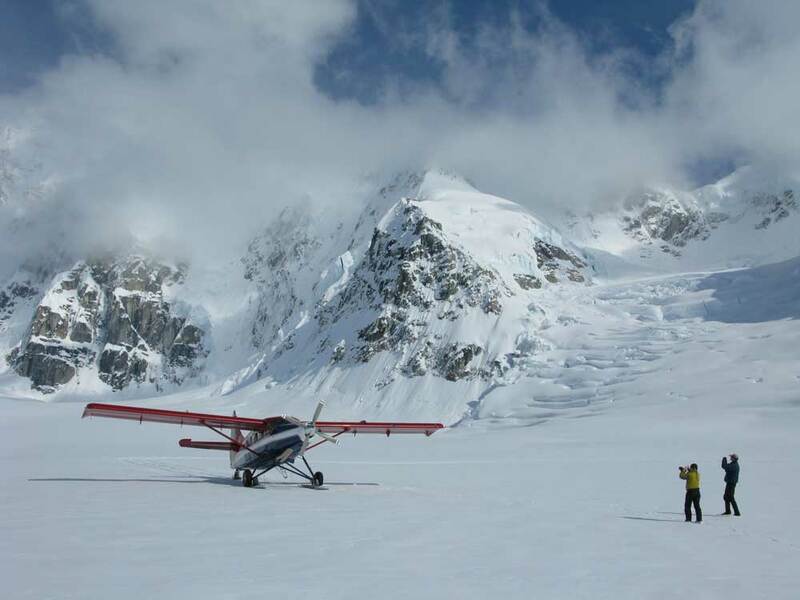 Taking one of their longer tours allows their professional pilots more opportunity to share summit views, especially if one side of the mountain is in clouds. 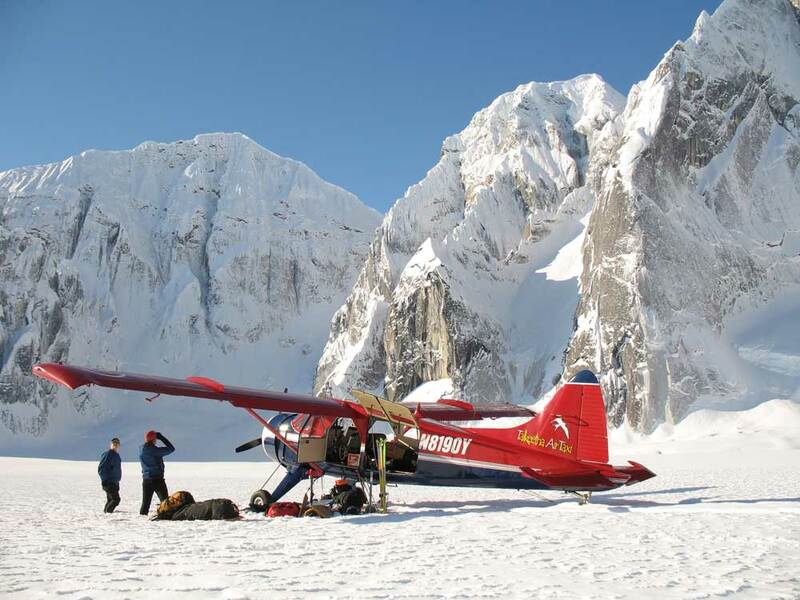 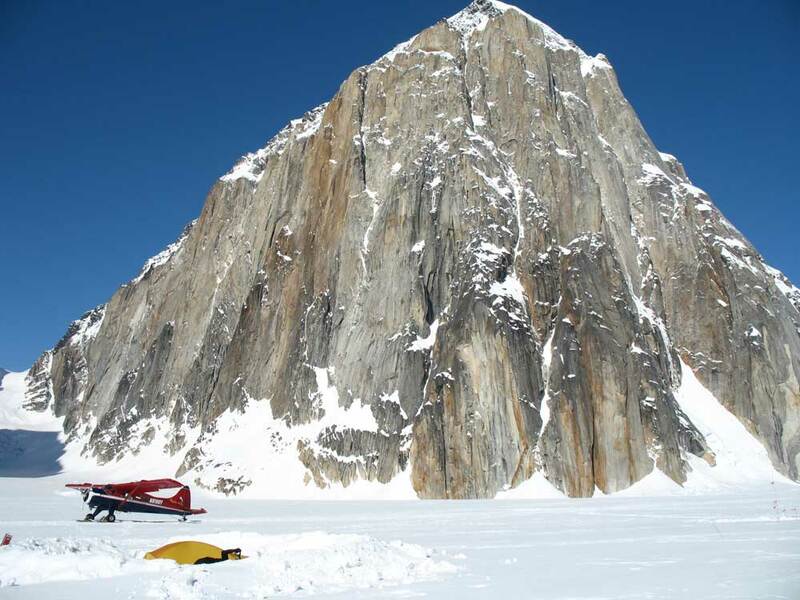 And, you must add a glacier landing to your Denali flightseeing tour; physically walking among the great peaks gain the rare perspective that only climbers experience. 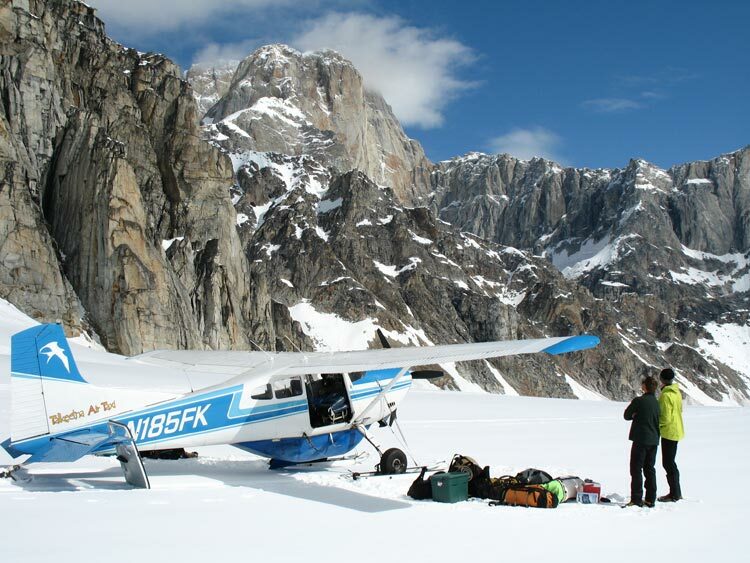 Since 1999, Talkeetna Air Taxi has flown over 1,000 climbers a year into the Alaska Range - over three times the number of climbers flown by any other air service. 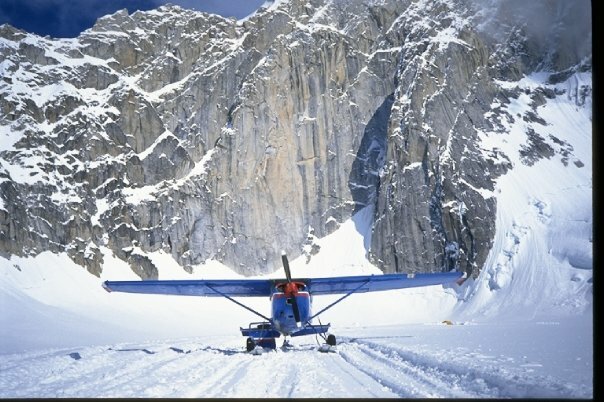 (Statistics from National Park Service.) 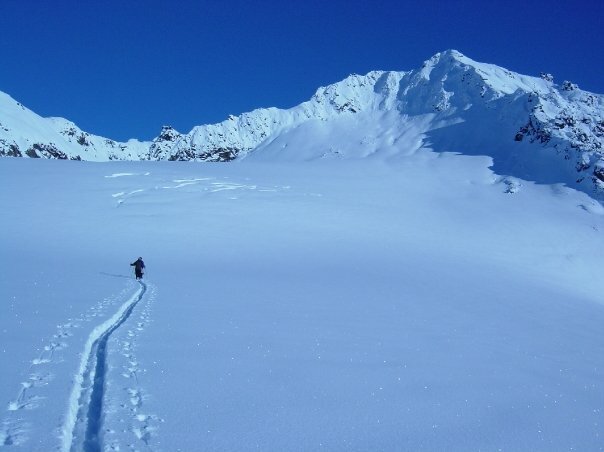 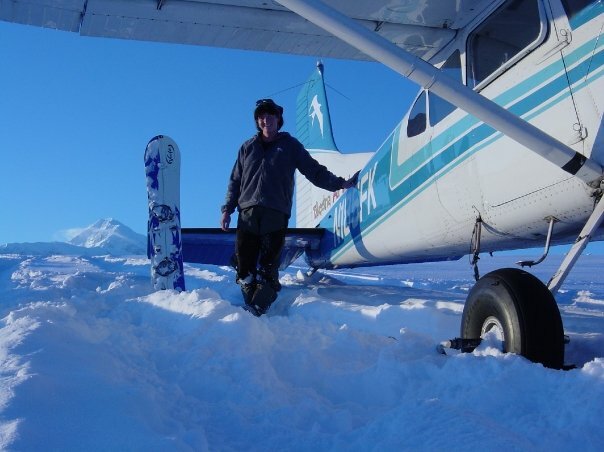 Climbing support is Talkeetna Air Taxi's specialty.In the last decade Paul Roderick, TAT's director of operations, has pioneered the new glacier runways for access to new areas for first ascents and simpler approaches. 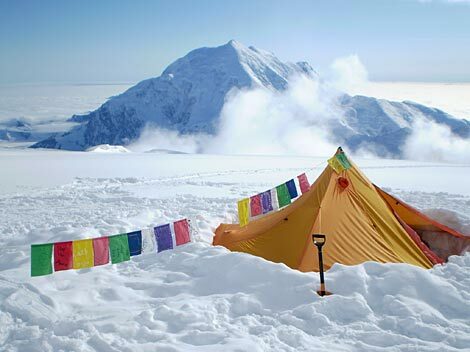 Paul and the crew have a reputation for knowing what climbers need.